Residential land prices have hit a new high across key markets in Australia further adding to Australia’s housing affordability problem. 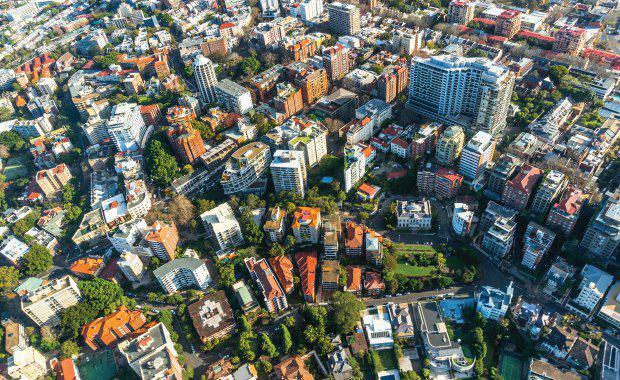 “Residential land costs in key markets have soared to a new high with vacant land in Sydney now over $1,000 per square metre,” HIA economist Shane Garrett said. 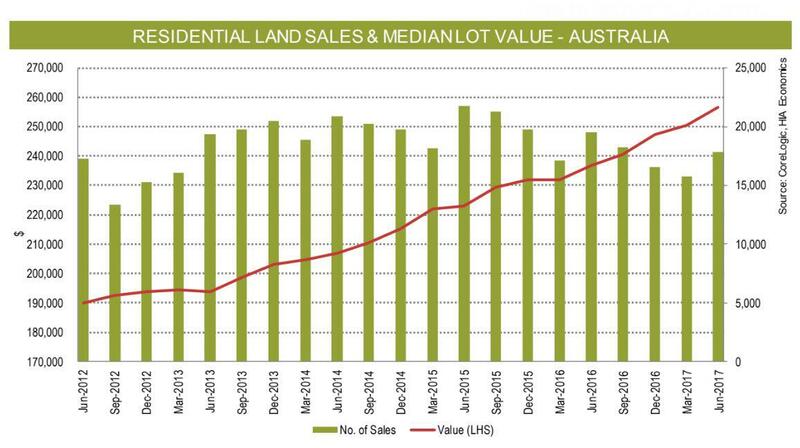 The latest edition of the HIA-CoreLogic Residential Land Report indicates that the national median lot price has increased to $256,683, an increase of 8.5 per cent over the 12-month period to June 2017. Price pressures in the market for residential land were most intense in Melbourne where the median price increased by 19.6 per cent over the previous 12 months to June 2017. Sydney and Adelaide both experienced strong growth with median price increases of 9.8 per cent and 8.0 per cent respectively over the same period. Land price gains were modest in Perth (5.0 per cent) and Brisbane (0.1 per cent). Hobart was the only capital city to see a decrease in the median land price over the year with land prices falling 15.8 per cent. Land turnover is down about 9 per cent on a year ago. "The speed at which land price is increasing is a concern as it compounds the housing affordability problem,” Garrett said. According to the latest report from the Committee for Economic Development of Australia (CEDA) Australia’s housing affordability crisis is likely to continue for another 40 years unless there are major changes to the market. The Committee for Economic Development of Australia (CEDA) released research in September forecasting that Australia’s housing affordability crisis will likely continue for the next half century. [Related reading: Affordable Housing Crisis Likely To Continue For 40 Years: CEDA]HIA's report concluded demand pressures and supply problems were set to continue for the foreseeable future -- particularly in capital cities with growing populations. CEDA research and policy committee chairman Professor Rodney Maddock said governments had to allow more houses to be built. However he believes there is a fundamental contradiction in the philosophy and Australia’s housing market. “We’ve got a free market on the demand side but all sorts of restrictions on the supply side” he said. Maddock believes there needs to be an increase in land release and fewer restrictions on redeveloping property. "If you allow the height restrictions to be relaxed then you allow bigger buildings to be built and you fit more people into the city," he said. Garrett echoes Maddock's argument for a relaxation on land supply policy, "This requires improved outcomes with respect to financing of housing infrastructure, monitoring and timely reporting on land release and speeding up zoning and subdivision process,” Garrett said. According to CoreLogic research analyst Eliza Owen record high lot prices over the past five quarters have contributed to worsening affordability and influenced the unprecedented level of high-density residential development currently under construction in Australia's major cities. “As the Australian economy shifts from residential to non-residential construction, demand for vacant residential land may shift in location and scope. "New and prospective infrastructure developments such as the inland freight rail and Badgerys Creek Airport will open up new employment and development opportunities further from the metropolitan regions which may stimulate demand for housing in areas with a more affordable price tag,” Owen said.